Trump Promised to Bring Back Coal. How’s It Going? On this week’s episode of The Interchange podcast, Trevor Houser discusses the state of coal, the state of the electric grid, and the state of energy politics. Trump isn't bringing back coal. When President Trump took office, U.S. coal was in a state of decline. Between 2007 and 2016, coal production and consumption both fell by more than a third, and mining jobs fell from 125,000 to 75,000. Trump promised to reverse that trend. Did his deregulatory agenda work? In 2017, U.S. coal production grew by 6 percent. That increase, however, came from a factor unrelated to Trump administration policy: demand in foreign markets. 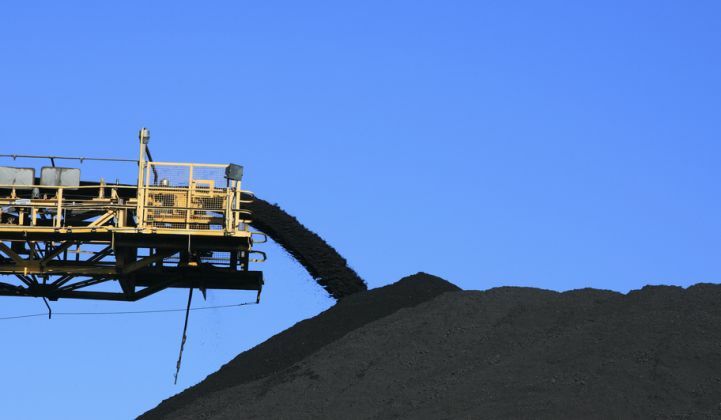 Meanwhile, domestic coal consumption fell by 2.4 percent last year. This week, we talk with Trevor Houser, a partner with the Rhodium Group, about where things stand in America's coal sector. It still doesn't look good. In this conversation, we unpack some of the big themes we're grappling with as 2018 unfolds: coal demand, electric system reliability, and possible directions for climate policy. Houser will also explain why we've "achieved escape velocity" in renewable energy, and why that matters for our emissions trajectory.